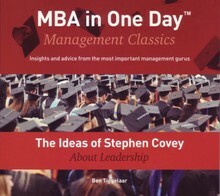 Dr. Stephen R. Covey is the bestselling management author of recent years. Several Americanpresidents have consulted him. He has shelves full of awards and honorary doctorates. Andaccording to Time Magazine he has been one of the world´s most influential people for manyyears. His books are not just about management. Covey wants to teach us lessons about all kinds ofleadership. Even leadership in our private lives. Stephen Covey was born in 1932 in Salt Lake City, USA. He studied at Harvard, among other places, and graduated at the Mormon Brigham Young University in Provo, Utah – a small university town with a population of just over 100.000, and 10 golf courses. He stayed on to lecture at the Brigham Young University for many years. He and his wife Sandra still live in Provo today. They have 9 children and over 40 grandchildren. Covey is a Mormon. In his books he´s quite outspoken about his faith; his writings are clearly anchored in traditional Christian ethics. Stephen Covey was not widely known until after 1989, when his book The Seven Habits of Highly Effective People was published. The book is a description of the habits, or characteristics if you like, we should all develop if we want to be more successful and, above all, happier in life. Covey addresses both our professional and our private lives. Millions of copies of this book were sold worldwide. In fact The Seven Habits is the bestselling management book ever. There are different takes on the exact sales figures; by some estimates over 17 million copies were sold. The book has been translated into more than 30 languages and marketed in over 75 countries. The Seven Habits gained Covey the status of a real guru, which means he also gained a devout following. Some firms, including Unilever, IBM and AT&T actually require some of their staff members to be trained by Covey´s institute. 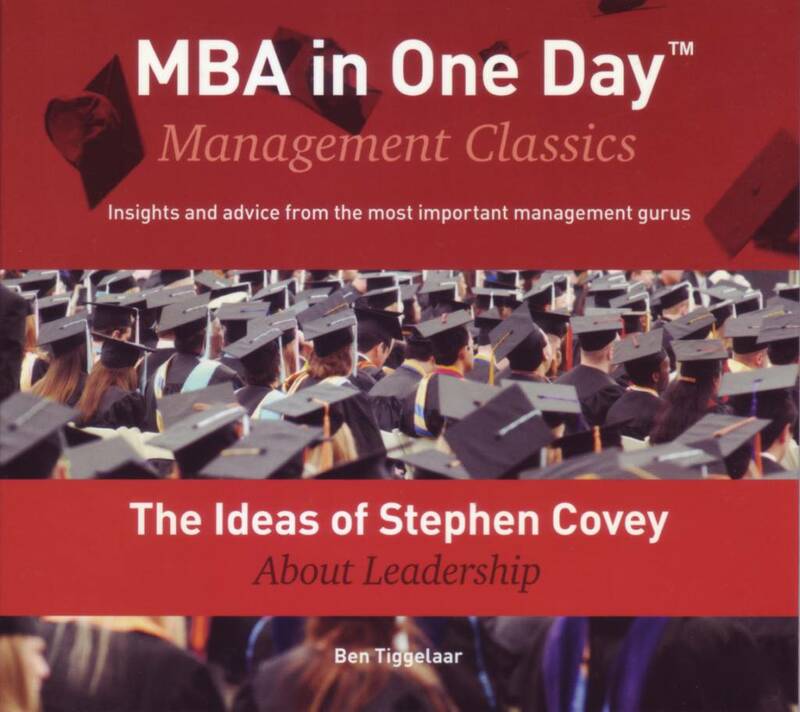 MBA in One Day - Management Classics is a series of 10 audio programs from author Ben Tiggelaar about the insights and advice from the most important management gurus. Presenter Bill Hoopes discusses the ideas of: Stephen Covey, Peter Drucker, Eli Goldratt, Michael Hammer, Kaplan & Norton, Philip Kotler, Henry Mintzberg, Tom Peters, Michael Porter, and Robert Quinn. The Seven Habits - What Does it Take to Be an Effective Person? The Seven Habits - What Does it Take to Work Together Effectively?